The scent of sage, rosemary and chicken are the perfect perfume to remind you that fall is right around the corner. 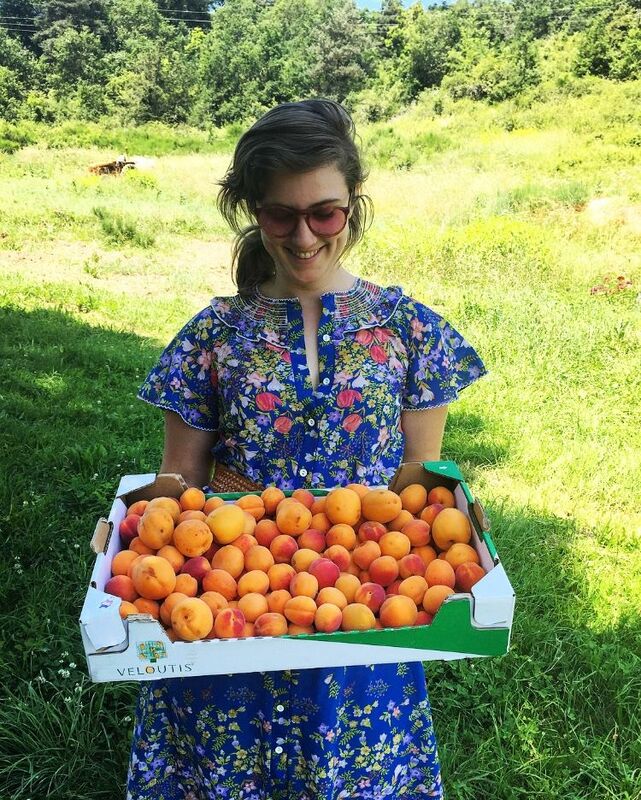 I have already been unreasonably excited for the season and dreaming of honey crisp apples, pumpkins and all the rich & savory dishes I can create. When I decided to roast a whole chicken, I was excited to put a little extra effort in and brine my bird before roasting. For those of you who aren't familiar with brining meat, this is a wonderful way to ensure your bird is tender and juicy. You can brine all meats and it is easy to do so, but it does require a bit of foresight. A brine essentially consist of a salt water solution and can be seasoned in anyway you would like and really makes a difference in the final product. BRINE-In a large container add, 1 gallon water, and stir in 3/4 cup salt, 2/3 cup brown sugar, 1/4 cup apple cider vinegar. Season with 2 tablespoon pepper corns, 2 sage leaves and 1 rosemary sprig. Cover and place in fridge for 2 hours or overnight (The longer the better). Season the bird and rub with olive oil and salt and pepper. 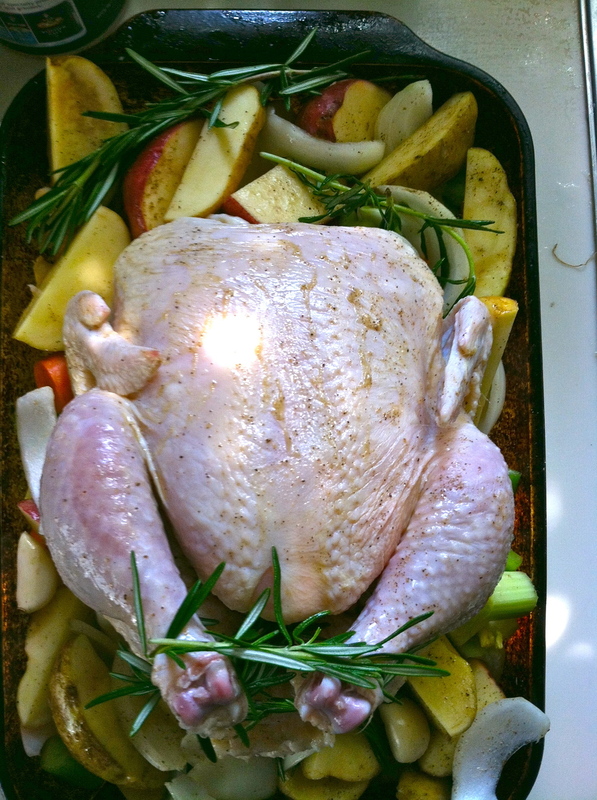 Place bird on top a bed of carrots & potatoes with some rosemary and sage. You can also stuff your chicken with garlic, lemons and more herbes for added flavor. For a 4 pound bird, roast at 325 for 2 hours checking often. If your chicken skin is browning to quickly, place a tent of tin foil over the breast.